Hello happy readers! I’m happy to be back. My travels were pretty great it was nice to get away from the heat, humidity, and bugs for a bit and even better to see my family. That said I was also thrilled to sleep in my own bed again and see my fur baby who has been giving extra cuddles since I came home. I did go with my mom and while I intended to get some serious audiobook time in with two 13 hour car rides I got no audiobook time in as my mom and me chatted most of the time and listened to music. However, I did have a chance to finish three books via other formats so yay for reading! I also did an interview with Hannah Bucchin debut author of Paintbrush (review) which will be posting Friday! I’m excited about this one so stay tuned. 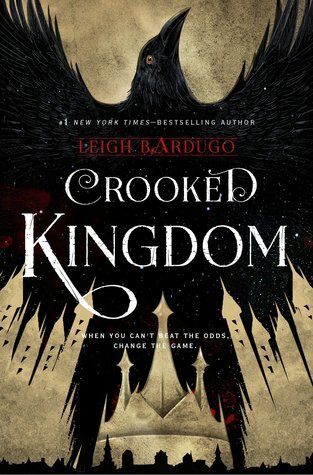 Now, one of the books I finished during my trip was one I had been both eager to read and nervous as it was the end, Crooked Kingdom (Six of Crows #2) by Leigh Bardugo. The sequel to one of my favorite books I have read and also the final book in the two part series. I got it the day it came out eager to start but held off because I was scared to let it end but eventually I had to know and started listening to the audiobooks at a slow pace to savor and enjoy. Now having finished I am thrilled to share my thoughts. 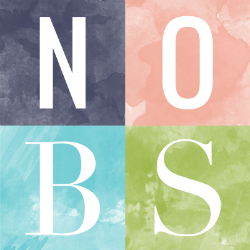 I previously reviewed Six of Crows and I LOVED it! I was so devastated by the ending. Inej was taken and I just couldn’t believe that ending after everything they went through being beat down at the very end. Now our crew is beat down, separated, and tired but they are not out for the count. They have to regroup and come up with more plans. Their lives are more dangerous than ever and old allies could just as easily be enemies these days. When you go up against the more powerful in Ketterdam you need to have more than luck to save you. I didn’t listen to the first book I read it through but having listened to this one I really enjoyed the narration and how each character had a different narrator. As we see the story from different POVs hearing a different person with a different accent and style was really rather thrilling. I now picture certain accents with the characters that I didn’t before but now seem so natural. The multiple POVs is something I loved because it gave us all the information we needed but seeing things from different views you see how everyone can hear/see the same things but take away different things from it. All of their prospective are important and play off one another. They each have something to bring to the table, the same thing that made them special in the first book we just know and love them more. Each of our characters has a special place in my heart. Kaz and his cold and clinical way of looking at things in terms of what they do for him or how they can be used in the future. Inej and her ability to blend into any shadow and disappear yet despite her life she still has a kindness and good heart to her. Nina who is far from her home but will risk her own life for those she loves. Mathis and his turbulent inner battle between what he was raised to believe and what he has seen and felt to be true. Jesper in his flawed and self-destructive nature full of charm and good intensions. And Wylan the son who has always felt less than and flawed for his inability but has found a home and people who see his abilities rather than flaws. All of my crows were in my heart and I couldn’t wait for them to save Inej because they had to. I had no other option in my head. Well that is the start of the plan, save Inej and get revenge on Van Eck. He has no only betrayed them and tried to have them killed after they upheld their side of the plan but more he did that and took one of theirs and when you have so many enemies your reputation is important in helping fend off the wolves. I loved all the different plots and schemes from the first page to get Inej and the revenge they deserve. To get what is owed and set things right because no monster like Van Eck can be left standing. There is a difference between being a criminal and being a criminal with no value behind your word. Some things are sacred. Things don’t go as planned. Oh so many beautifully crafted plans and of course wrenches thrown into the mix. I am struggling so hard to review this book without spoiling things because there is so much happening. So many little subplots that take place and all the little details that are just amazing. Like seeing characters from the original Grisha series come into play and go toe to toe with Kaz and crew. One of the best moments. Inej, some of her chapters just broke my heart. Her captivity, the flashes back to when she was forced to work in the menagerie before Kaz saved her. So powerful. Bardugo has really captured so much emotion within the story. Things are in chaos all around them but still even between the plotting, scheming, running, and fighting they were able to have such deep moments between one another. They care for one another deeply even if they fight. Even if they don’t always show it. A few lines in particular that just hit me in all the feels…. I was rooting for my characters and rooting for others to get what was coming to them because they are just so dang vile. Seriously. Nina is struggling with her addiction and how it has changed her and her power. While Mathis sees just how wrong he was and his hope to try and help others see like he did. Oh but his time with Nina being there for her through it all…I adore him. Kaz and Inej are both so different but they are so good together and understanding one another in a way that no one else can. Both damaged. Both strong and weak. Both with baggage. I love this and shipped them so hard! And of course we had a bit of a spark between the wild card Jesper and our shy and quite Wylan which is adorable how they come to count on one another and support one another in times of need. Each of them have their own journeys to work through and I enjoyed being there as they went through them. They knew the odds for the life they chose to lead. The story and pacing of this book was so well done for me. With the larger overall story but full of side stories and little inner stories that just made a more developed adventure. The pacing was on point and it felt like you were there with them rushed and escaping death one moment then having a few moments to regroup. It never let you fully off the edge of your seat but kept you leaning there ready to go. My poor heart was a mess keeping up with it. This book was everything. One of my favorite series by far. I loved everything. Even the end that had me sobbing. Okay several parts of the book had me choking back tears for several different reasons. My heart raced through it all and even though I took my time reading it fearing the end and while I wish I had more and parts made me sad I love it. It is such a fitting end (minus one part I don’t think I’ll ever get over) for this story and this crew. It started with one job and ended with so much more. I love this book and I would highly recommend this series to anyone and everyone.